Serene satin offsets delicate detailing across the Willow Mist table lamp. Gentle ripples elongate the base, suggestive of cascading waves across water. The crafted ceramic base achieves natural serenity through a palette of earthly tones, choose from tranquil ivory or mist. To complement the ethereal qualities of the base, select a shade from a variety of colours and finishes to suit your interior styling scheme. 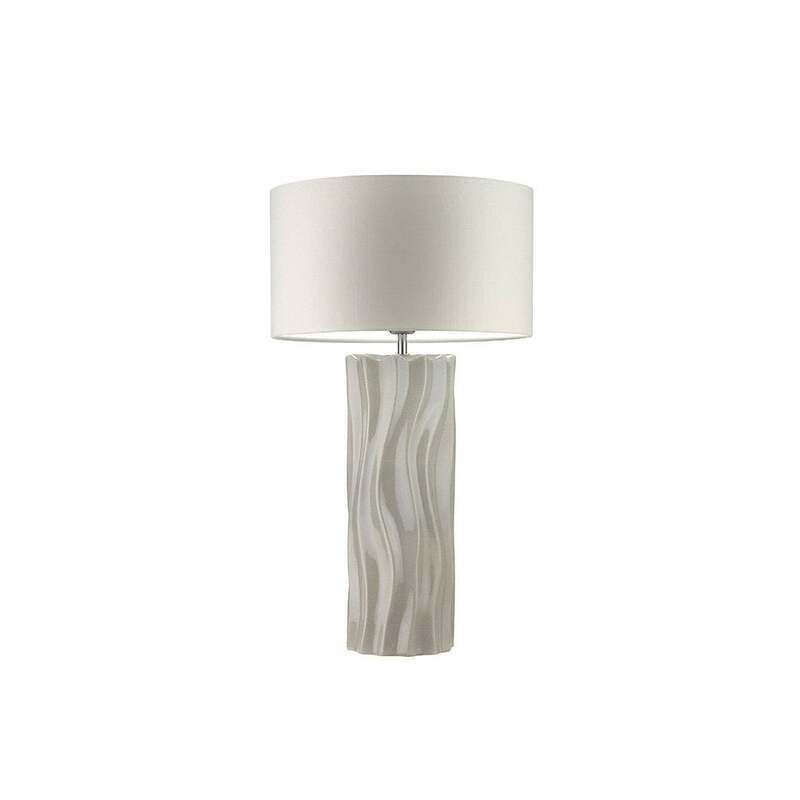 The cool, calming Willow Mist table lamp would look at home in any fresh, crisp living space. Style with pale pinks and greys for a relaxed, Skandi inspired scheme.